During the final days of World War II, Allied troops crossed the Rhine in order to complete their invasion of western Germany. The Allies took control of the last remaining Rhine Bridge, Remagen, on March 7, 1945. Of course, the Allies' success was made possible by the M4A3E8 Sherman and M24 Chaffee. This limited edition kit combo features four 1/72 tank kits: 1. Tiger I, 2. Panther G, 3. M4A3E8 Sherman and 4. M24 Chaffee, each with markings representing each tank as it appeared in Western Europe, circa March 1945. The F-15 Eagle stands apart from most contemporary fighters, thanks to its improved avionics support, AN/APG-63(V)1 radar and AAM-4 missile capabilities. Today, the JASDF has a fleet of 165 F-15J Eagles, complemented by an additional, smaller fleet of 48 F-15DJ two-seat trainers. 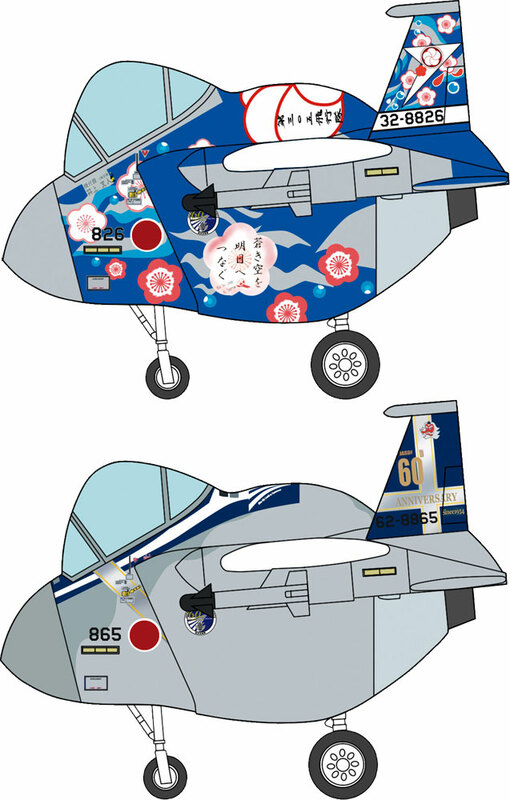 In honor of the JASDF's sixtieth anniversary, select F-15Js were decorated with a special, commemorative livery. This limited edition kit combo features two sets of special 60th anniversary decals. The MV-22B Osprey has defied convention from day one. Although it flies like a helicopter, the Osprey cruises with the speed and range of a turboprop plane. Their speed, range, and carrying capacity makes them perfect for the JMSDF and the Japanese Ministry of Defense approved procurement of seventeen. It is estimated that Japan will have a total of seventeen Ospreys by 2019. In years to come, aerial warfare will change as more sophisticated weapons emerge. The F-35 is an airframe intended to counter improvements in detection and engagement systems. It is a multi-role fighter designed with stealth capabilities which are intended to improve its survivability in a world swarming with SAM batteries. Over one hundred have already rolled off production lines and into training units in the US and abroad. More than forty have been ordered by Japan for an 'in-service' of 2016. If you're a manga fan, chances are you're no stranger to the works of Takeshi Nogami. 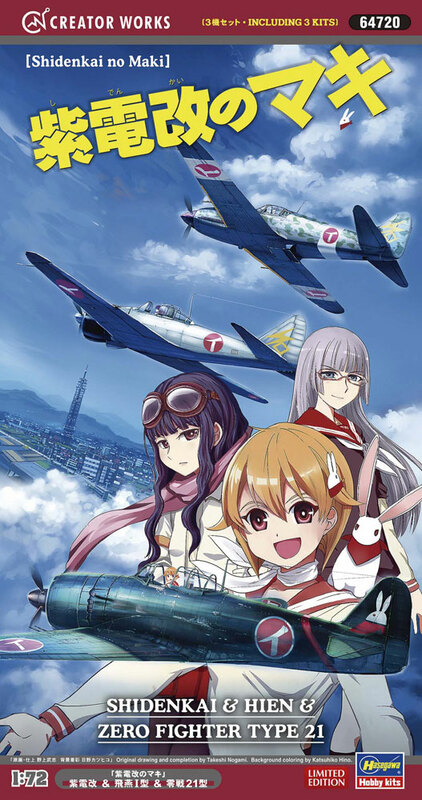 "Shidenkai No Maki" - one of Nogami's craziest creations - features high school girls fighting against each other with famous WWII aircraft. 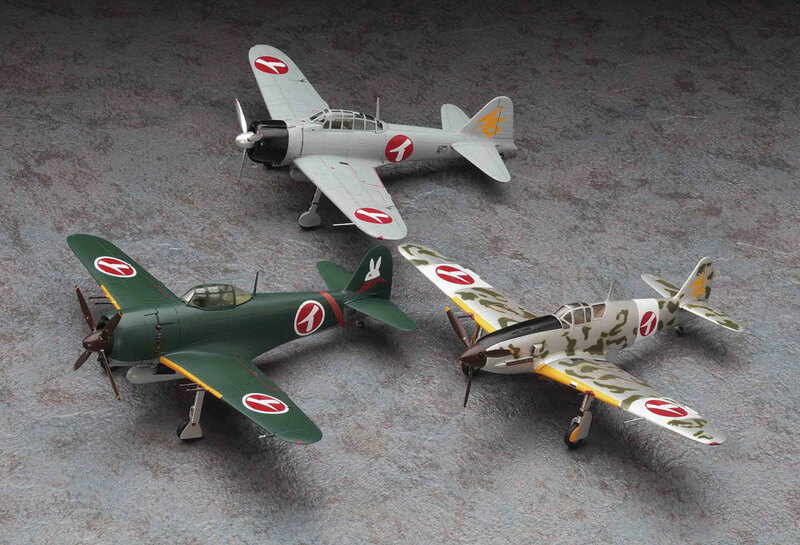 Featured warbirds include the N1K2-J Shiden Kai, the Ki-61 Hien and the Zero Type 21. This limited edition kit combo features three models based on the popular Japanese manga, "Shidenkai No Maki,". Designed by the Soviet Union in the lead up to WWII, the Polikarpov I-153 was one of the world's last successful biplane fighters. They combined the tremendous manoeuvrability of all biplanes with high speeds and four machine guns. Thousands were produced and ten made their way into Finnish hands where they were used against their creators. Finnish Air Force pilots flying their Soviet-built I-153s claimed numerous Soviet aircraft during WWII. 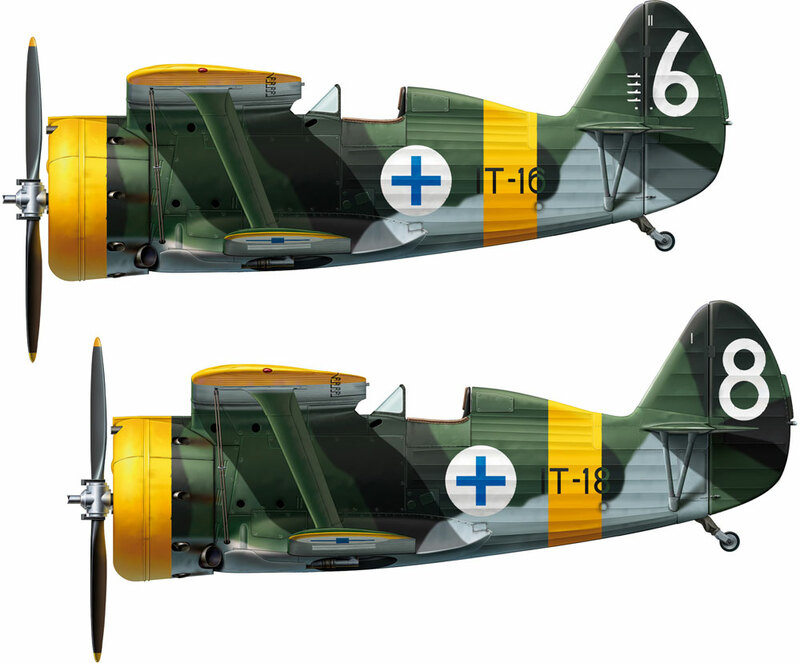 Limited edition kit combo features two sets of Finnish Airforce decals. 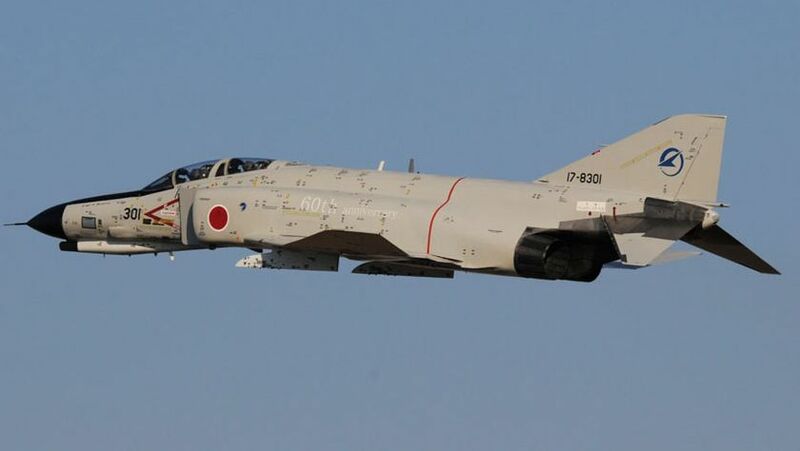 For sixty years now, ever since the end of WWII, the JASDF has been responsible for defending Japanese airspace. For forty of those years, Phantoms have been on the front lines. Their armament, speed and manoeuvrability still make the Phantom II a dire threat to modern aircraft after forty years in service. 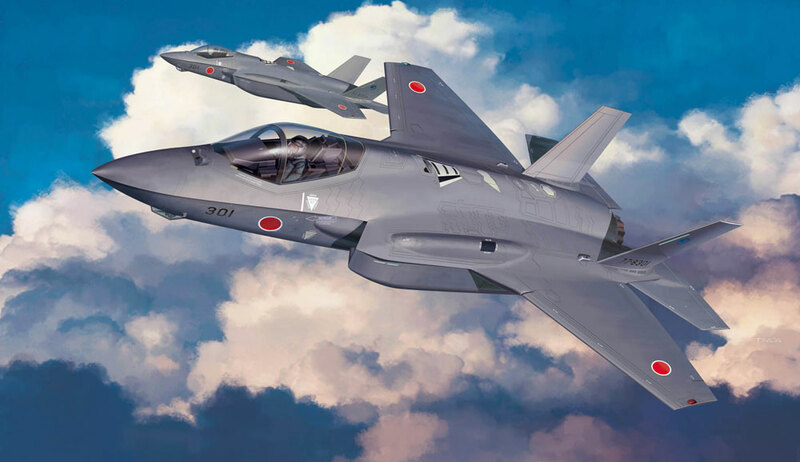 In addition, the airframe's versatility allows it to accomplish many types of missions, making it essential for smaller air forces like the JASDF. Improved avionics, specialized air-to-air missiles and a AN/APG-63(v)1 radar make the F-15J Eagle one of the most powerful birds in the air. The JASDF fields a fleet of over 200 F-15Js. Many of those fighters are part of the 204th Squadron which operates out of Naha Airbase in Okinawa. 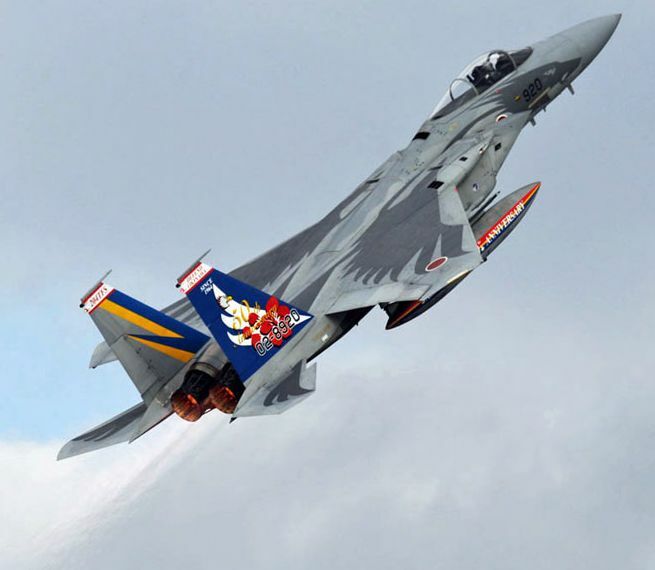 To honour fifty years of defending Japanese airspace, an F-15J Eagle was decked out in this special regalia. 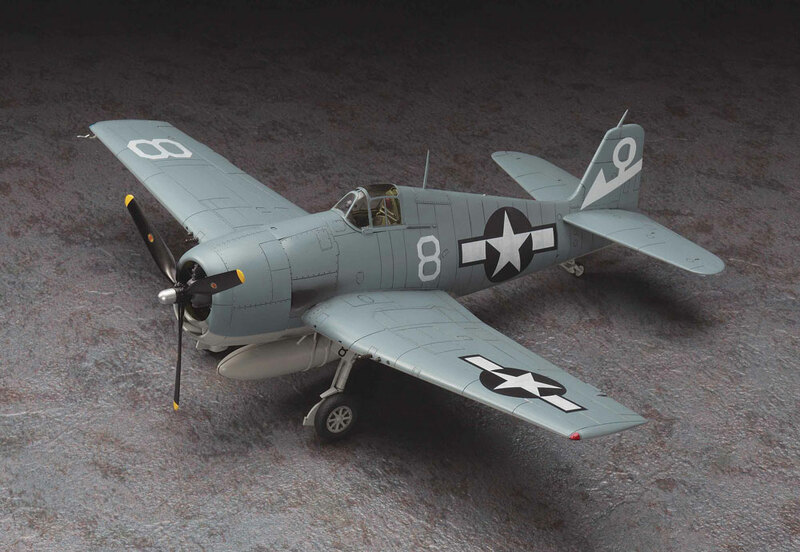 The F6F-5 Hellcat's speed, armour and impressive armament made it the U.S. Navy's favourite Pacific Theatre fighter plane. Manga artist Leiji Matsumoto's passion for World War II-era aircraft provided the basis for "The Cockpit," which featured the F6F-5 in "The Revenge that was buried in the Mountain." 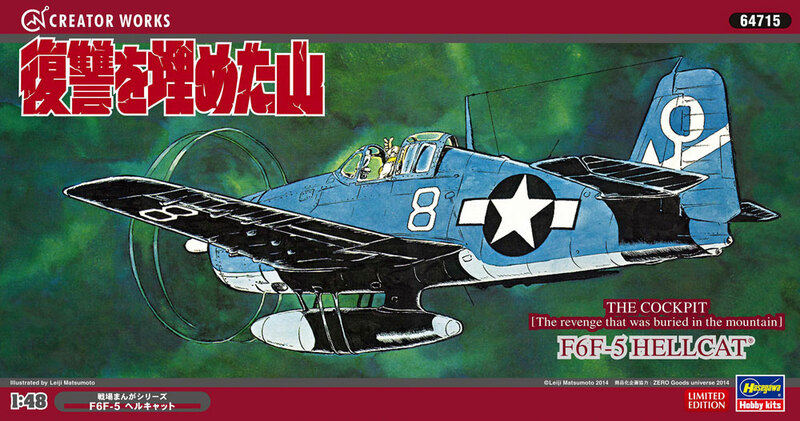 This limited edition kit features the F6F-5 Hellcat as it appeared in manga creator Leiji Matsumoto's "The Revenge that Was Buried in the Mountain," from "The Cockpit,". 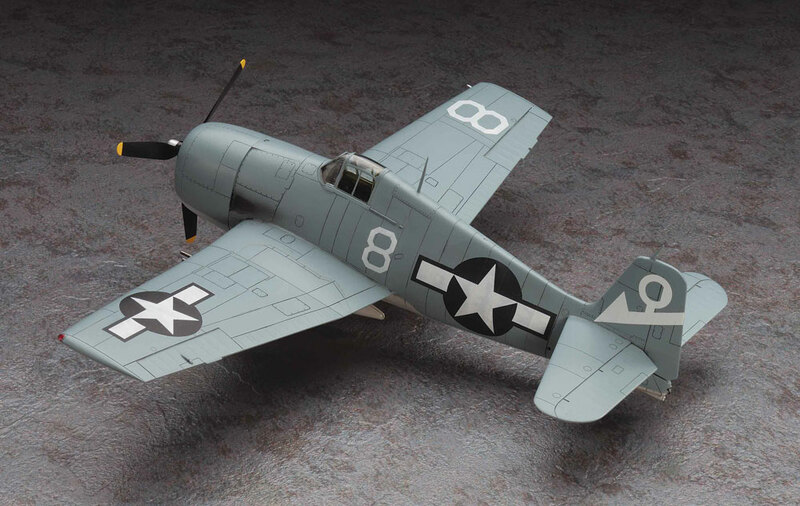 All these aircraft will be available in May if we are lucky (hopefully) from Hasegawa’s Distributors..